Yimiton's Blog: Chris Brown and Drake offered $1million each to duke it out in the ring. Rihanna to be the ring girl! 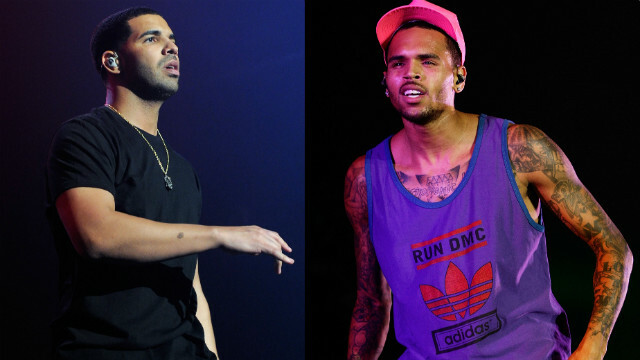 Chris Brown and Drake offered $1million each to duke it out in the ring. Rihanna to be the ring girl! Ghen ghen....this one will be very interesting fight oh. Imagine Rihnna being the ring girl. I can't laugh. All these celebrity boxing promoters sha. My dear readers, do you think they will agree to this fight? Who do you think will win? Drake or Brown. People are already speculating oh. 50 cent said he thinks Chris Brown will win because of his dancing skills. Below is the details from CNN. The promoter also says he is asking singer Rihanna to be a ring girl at the bout, but acknowledged she'll likely pass. Damon Feldman says he has the financial backing of businessman Alki David and that he'll donate a million to a charity that helps abused women if the fight takes place.The fight, he said, would feature three minute-long rounds with the participants donning oversized gloves and protective head gear.Feldman says he has not received a response from either Drake or Brown. Drake! Drake! Drake! If this fight really holds, I can't imagine the crowd! it will be one fight of the mellinuiem. I hope they won't be stupid enough to actually take the offer and fight each other. Anyways, one of them will be disgraced if they do. Someone definitely want to see to it that Drake and Brown remain enemies forever and some people are cheering them on. Let's pray this never happens. Damn! the stage is set. I can't wait. The fight of all fights. Let them pound themselves to the death. Is it going to make any difference to my salary? Just like it used to be back then in Africa. Fight for your bride, the winner takes the bride home. lol.